How it Works: When an estate has a transfer of ownership due to death or inheritance, it is very common for a real estate appraisal to be needed for tax purposes. Estate or probate appraisals are commonly ordered within 6 months of the death of a loved one (or inheritance of property). Retrospective Value: In estate planning situations it is common for the appraiser to perform a ”retrospective appraisal”, meaning that even though the property might be inspected today, it isn’t valued off of today’s date, but instead based upon a previous date (usually the date of death of the owner of the property). 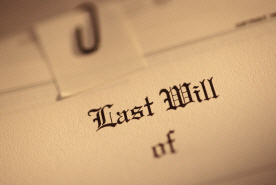 In addition to needing a retrospective value during the estate planning or probate process, sometimes the ordering party will also request a current “as is” market value or value based upon the date the title transferred from the deceased to the heir (if the transfer was after the date of death). In these cases there are really two appraisals being done since there are two separate values issued. Most of the time only one appraisal is needed, but every situation is unique and it all depends on the particular needs of the estate. Attorneys, accountants, executors, heirs, and others rely on K1 Appraisal Services for "date of death" valuations because such appraisals require special expertise and training. They require a licensed certified expert to get the job done. Contact us for more information regarding a "date of death" valuation or Retrospective Appraisal.